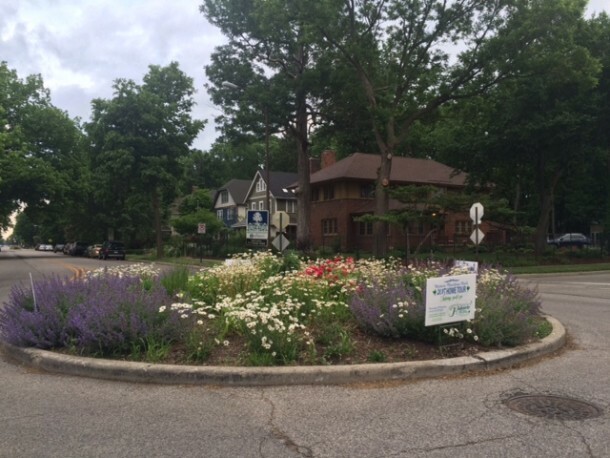 Historic Meridian Park is small but mighty in its vintage housing stock–which you can examine more closely this coming weekend, May 30 and 31, 2015, from 12-6pm. 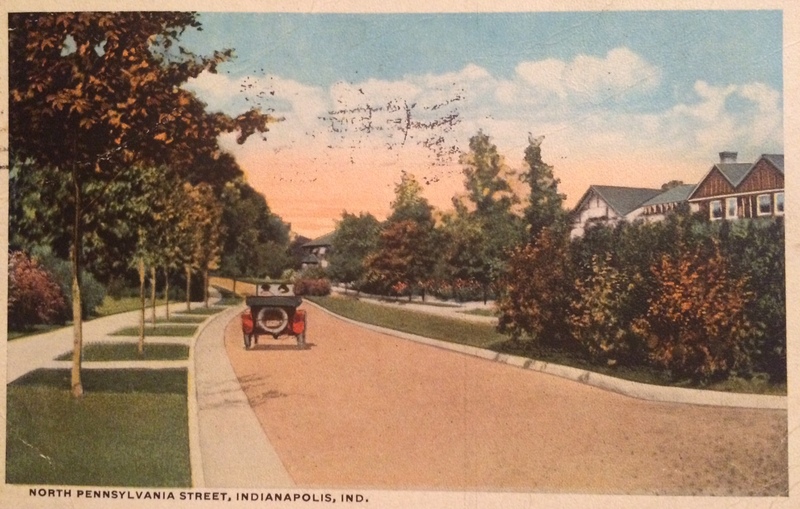 Now and then, you may come across an old postcard featuring one of the beautiful old streets of Indianapolis, as is the case with the above image, looking north in the 3100 block of North Pennsylvania Street. It’s hard to discern with the increase in trees and foliage since the time of this postcard, some 100-ish years ago, but these homes are in fact, still there. Sadly, the grassy esplanade that was originally down the middle of Pennsylvania Street has been removed. 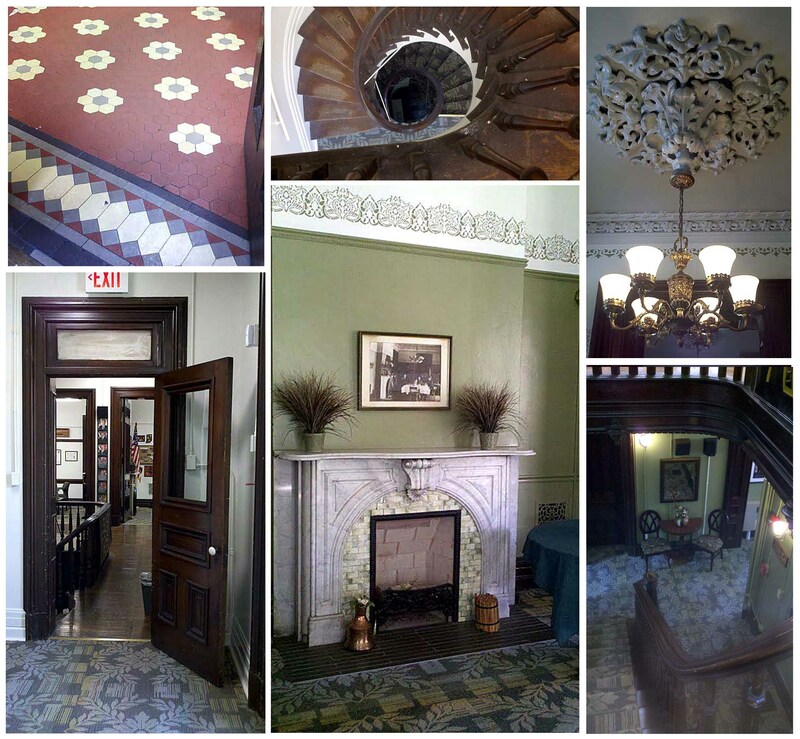 Volunteers are still needed for the home tour (read: will work for free home tour ticket). More info on their website, linked above. The road does look just slightly curvier in the postcard image, but promise, this is the same part of the street. Check out the below image with the double gable, which was challenging to capture with all the trees. The parameters of Historic Meridian Park are 30th to 34th Streets, from Pennsylvania Street to Washington Boulevard. 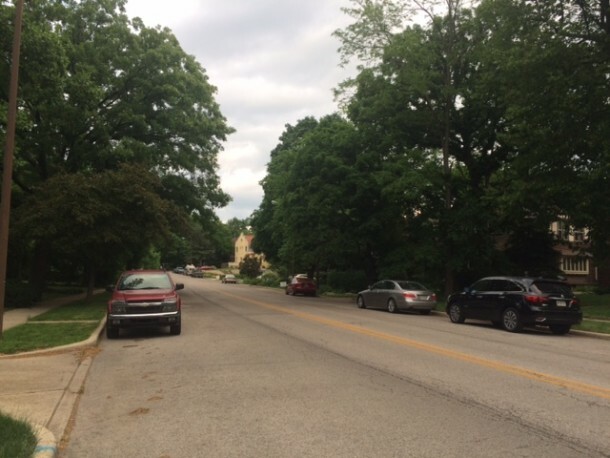 One of our neighborhoods you could feasibly take in within an afternoon! WHEN: Saturday, May 30, Noon-6 p.m.
Sunday, May 31, Noon-6 p.m.
3363 N. Washington Boulevard. Jess LaNore is the fifth owner of the home, which is under renovation. LaNore is paying close attention to historical accuracy while using the latest in energy efficiency practices. The home’s architect also designed the Columbia Club, Indiana Theater and the Circle Tower. 3302 N. Washington Boulevard. Fondly referred to as “Chateau BK” by its owners, Mark and Bryan Bigelow-King, this classic American Arts & Crafts structure was once converted into a nursing home. 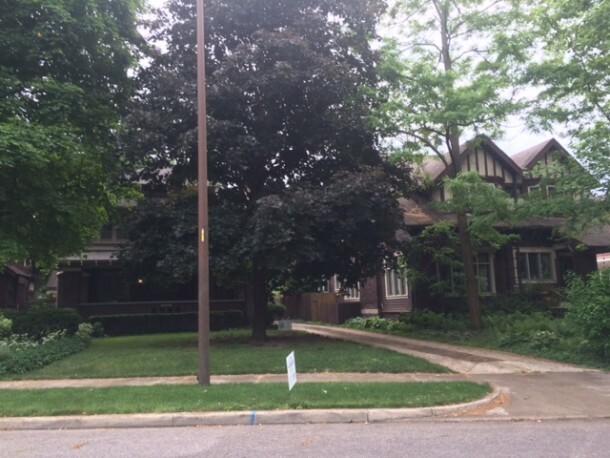 Currently a single-family residence, the home has undergone extensive renovations. 215 Washington Court. Owner David Bartley has cultivated a garden oasis on unique Washington Court. His garden has been chemical free for more than five years. The backyard, which features a pond that feeds a miniature ecosystem year-round, is a Certified Wildlife Habitat by the National Wildlife Federation. 215 32ndStreet. Ryan and Sarah Noel are the current owners of the home, which needed repairs after having more than 100 tenants during the last 15 years. The Noels have extensively renovated the home, and have repurposed existing materials such as wood from a dying ash tree in the yard. The address was the long-time home to legendary architect and Vonnegut partner, Arthur Bohn, who designed the Athenaeum, Herron Art Institute and the L.S. Ayres & Co. building. 3024 N. Pennsylvania Street. The consummate DIY-er, owner Josh Reeves is doing all of the renovations to the former Shawnee Apartments, which had fallen into disrepair in recent years. He and his wife, Allie, have maintained many of the original features while ensuring this 1912 structure has a modern and environmentally friendly infrastructure. 3117 N. Delaware Street. Ora Triplet has owned her home since the early 1970s, which features original woodwork, built-ins, and period hardware, lighting and glass. An active neighborhood volunteer, former Mayor Bart Peterson declared April 22, 2007 as “Ora Triplet Day” in Indianapolis via a mayoral proclamation. 128 E. 33rd Street. Mapleton-Fall Creek Community Development Corporation began the exterior and initial interior renovation of owner Jen Rozelle’s home. This eclectic artist’s home features a lofted, garden shed studio, and reclaimed wood. 3148 N. Pennsylvania Street. Owned by David and Angela Colby, the Historic Huesmann Estate’s garden boasts a large number of planting arrangements for both sun and shade. It was built by renowned architect Howard van Doren Shaw for Louis Huesmann, co-founder of Riley’s Children’s Hospital and an early Indianapolis business magnate. Proceeds from the tour, which is sponsored by the Historic Meridian Park Neighborhood Association Board of Directors, will benefit a neighborhood pocket park and neighborhood beautification. PreviousAt Your Leisure: The Greatest of All Time? Hey, where did you find the postcard? That’s awesome. 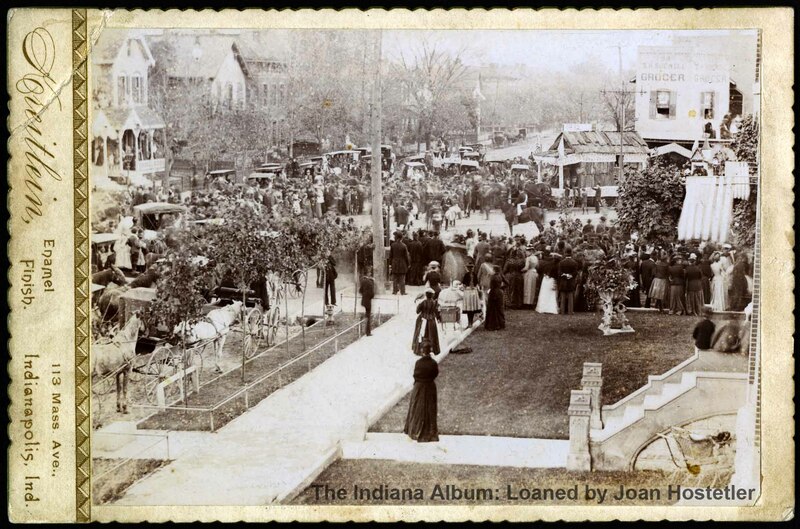 I would love to include it in my docent notes for Walk Urban Indy’s 1 mi Historic Meridian Park walking tour… could you send me a high-resolution version? What was on the other side? Any idea of a date? Can’t wait for this weekend’s home tour!